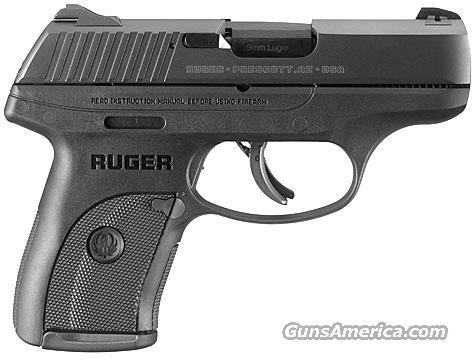 Description: NIB Ruger LC9 Lightweight Compact 9mm, 3.12 Inch Blued Barrel, Striker-fired version of the award-winning LC9®, Lightweight Compact High performance glass-filled nylon frame, Dovetailed, high-visibility 3-dot sight system with windage adjustable rear sight and fixed front sight, single-sided manual safety and magazine disconnect, Slide locks open on an empty magazine.Safety features include integrated trigger safety, manual safety, magazine disconnect, inert magazine for safe disassembly and a visual inspection port that allows for visual confirmation of a loaded or empty chamber. soft case. WE WILL NOT ANSWER EMAILS! A 3% convenience fee is added to all Credit Card sales, you may pay with a money order, no personal checks accepted.